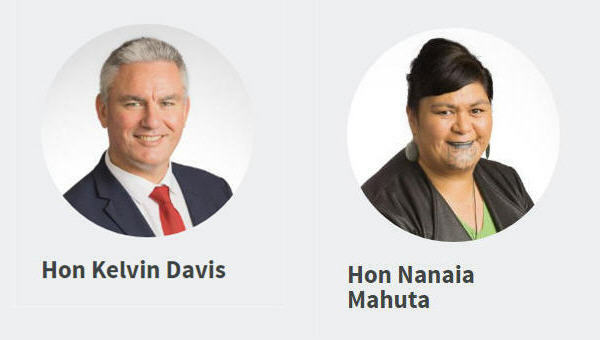 Te Arawhiti Minister Kelvin Davis and Māori Development Minister Nanaia Mahuta will join an estimated 5,000 New Zealanders living in Australia at Sydney’s Waitangi Festival on Saturday. “This festival has been held in Sydney annually for the last 12 years and around 5,000 Kiwis who live in Australia come to it each year,” Kelvin Davis said. “It is an important way for New Zealanders in Australia – and especially Māori – to remember and foster their connection to their homeland. “It’s great that we can be there to share in this day with them, and let everyone know a bit more about the work the Government is doing back home,” Kelvin Davis said. Nanaia Mahuta said attending the festival also highlighted the importance of Waitangi Day outside of New Zealand’s shores. “Now is the perfect time to reflect on the significance of Waitangi Day for all New Zealanders – Pākehā and Māori – wherever they are in the world. “One in six Māori live in Australia, and one in three of those Māori were born here. Basically, what we are saying to them is they always have a home in Aotearoa – and around Waitangi Day is a good time to do it,” Nanaia Mahuta said. [Read the Beehive media release].